How many words should be in the safety policy? What writing style should this safety policy adapt? Am I writing to impress management? Or am I writing for the lowest common denominator? Review your safety policy against one of the free policy templates. Creating an Aviation Safety Policy That Resonates! There are so many elements that safety managers must consider when drafting a safety policy for management approval. Let's be honest. How many accountable executives are writing their own safety policies? This is implicitly passed to the safety manager who then provides the content for accountable executives' signature. Effectively use white-space to make the document less formidable. When writing your SMS' safety policy, be genuine and to the point. The truth is that most users will only glance through the high points. This is why bullet points and white-space are important for your end-users. When you start adding sweet sounding, idealistic phrases to the safety policy, your users are going to roll up their eyes and think, "here is another batch of bull from management." Remember, there are many important elements to a safety policy. There is no room for fluff else your readers will not bother to read it. You should also post the safety policy in font large enough for older audiences. Employees that are over 50 may have troubles seeing small fonts. What do they do when they cannot see something clearly? They ignore it, of course. Never reviewed critically after the initial creation and acceptance by the accountable executive. The point is: your safety policy must be reviewed on a regular basis. Apply changes as environmental pressures cause your operations and SMS priorities to change. Document that the policy was reviewed. Place "Last reviewed by xxxx" and "Date" artifacts onto the document so auditors can see this policy is a living, breathing document. Safety policies don't have to be perfect, but they must be sincere and written for the intended audience: employees and stakeholders. Too often we see SMS guidance that tells you what should be in the policy and what auditors are looking for. This guidance is written from SMS consultants' viewpoints or from regulatory authorities who are trying to "help you do it correctly." 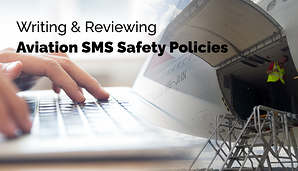 What happens is that safety managers (authors of most aviation SMS safety policies) are thinking about the SMS auditors when they draft these VERY important and useful policy documents. Write for the audience. Don't write for the auditors. the person to have at your back. In their attempts to impress management, safety managers forget about the true audience who really NEEDS to benefit from this safety policy. The safety policy establishes expectations from employees and demonstrates commitment to the SMS by the accountable executive. Therefore, the safety policy must be written to engender trust and dispel suspicion that the SMS is for the benefit of management, and not in the best interests of the employees and the organization. Don't bother recreating the wheel when creating your safety policy. You will be wasting considerable time. Start with a template. Templates are also useful when reviewing an existing safety policy. After all, every ICAO compliant aviation (SMS) must have a mechanism in place to ensure all policies and procedures are reviewed regularly. Reviewing aviation policies and procedures doesn't have to be elaborate. Either put a reminder into your work calendar or schedule the task with your aviation SMS software tool of choice. More popular, full-featured aviation SMS databases have built-in safety policies and procedures modules that make your policies and procedures available to all employees. This is another argument to use an SMS database to manage SMS requirements. Yes, an SMS safety policy is required for operators needing to comply with SMS. Where is Your Safety Policy Stored? This brings up a very good point, and I'll hit this again. Where do you store your safety policy? In your SMS manual behind the safety manager's desk? On the network's shared drive? 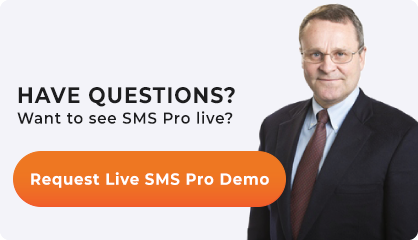 In your SMS database accessible to all employees? Safety policies don't do any good unless employees can find them when they need them. Make it easy for employees, otherwise, they will ignore them. High employee turnover requires safety managers to frequently communicate the contents of safety policies to new employees. In these cases, a best practice is to ensure new employees read the safety policy as part of their SMS induction, which is part of their initial SMS training. This was not the intent of the safety policy. When performed earnestly and written for the correct audience, the safety policy exercises a powerful influence in shaping your safety culture. In fact, the safety policy becomes the bedrock of your aviation SMS. Below are some safety policy templates we've acquired over the past dozen years. Use them as guides. Plagiarize them if you like, but please change the company name wherever appropriate. We hope you find them useful.